SIM card is an embedded micro electronics circuit shipped with all mobile phones to help the network provider identify the mobile device and store phone contacts. The common storage space is ranging from smallest 32 KB to latest 128 KB, which means equally 750+ phone contacts can be stored on a model sim card. It's fairly enough to record entire contacts for most of us. When adding new contacts to the phone, sim card is the first place we consider to save the contacts on sim card is device independent that can be worked on different mobile phones. You can easily transfer the contacts from one phone to another via sim card. However, what you gonna to do when the contacts were deleted accidently? And even worse, the contacts are very important to you. You have to get them back immediately. To recover lost contacts on sim card, there need to be certain data recovery software involved. Actually, I found out a few ones which claim to enable to restore all contacts. However, most of them failed after my tests. 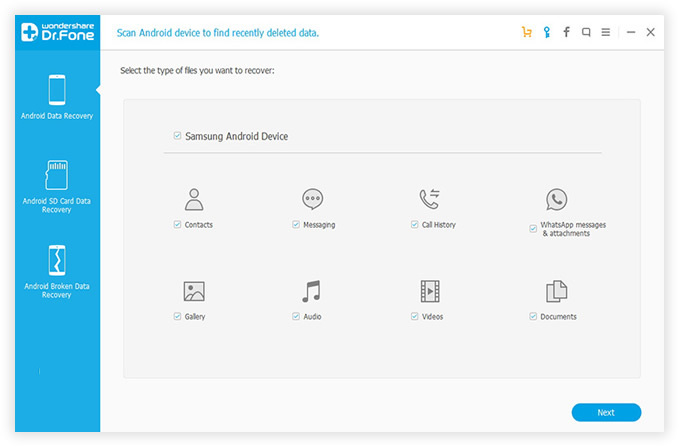 The only one which helped me fully recover contacts is Androidphone Data Recovery. This program has very sophisticated algorithms to detect the lost contacts on every storage device, like SIM card, SD card and USB stick. Moreover, the software has a free trail of 30 days to let you try it before buying. Please download and install the software first before heading to the next steps. Before data recovery process begins, you should download and install the program first. Once the program is launched, click "Recover" button to the next step. Android USB debugging allows third party app to have advanced permissions accessing system internals and file folders. 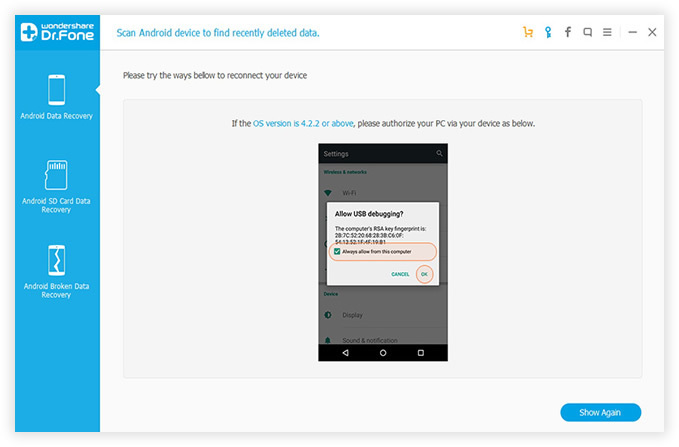 The app asks you to turn on USB debugging and grant super user permission once the device is detected by the software. Click "OK" to proceed to the next step. 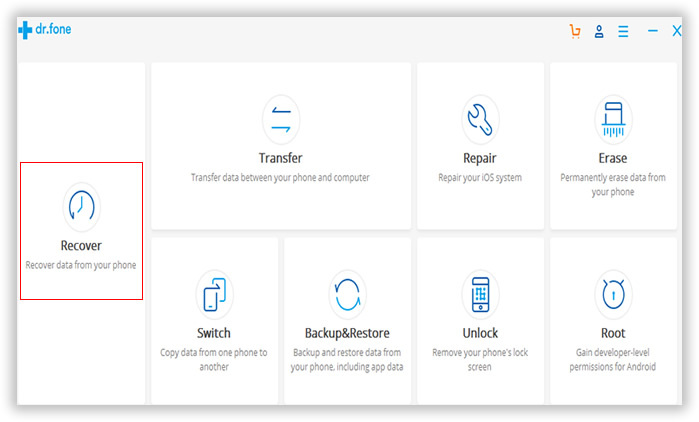 When the app being granted the right permissions by device, it will automatically scan your entire sim card and SD card to find out the deleted or lost contacts. The scanning process will take 15-30 minutes to complete depending on your phone specs. Make sure the battery capacity is over 40% to let the software locate every lost contacts as soon as possible. 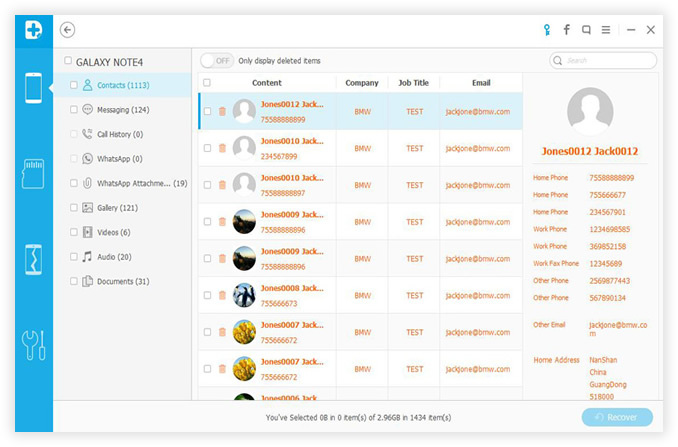 After scanning, the software lists all of the found items, like contacts, photos, videos and text messages. You can preview each item one by one to help you find out the right ones. It's a bad practice to recover all the items as the storage is limited on most mobile phones. Un-check other options and only left contacts on the left sidebar, then click Recover button to start the recovering process. This will be faster than the scanning. Pretty simple and straightforward, right? There are only 3 steps to recover your lost SIM contacts. No much tech involved and the user interface is really easy to follow. Anyone with a little computer experience can get the job done. Stilled not convinced? Grad a free copy and starts the journey yourself from now!